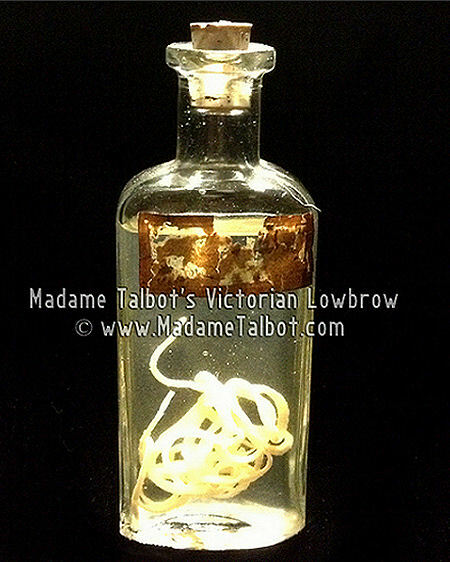 This is a real tapeworm inside a vintage, corked glass bottle. The bottle stands around 4 and 5/8" x 1 and 3/4" x 1". There is/was a label on the bottle but it has disintegrated over time.